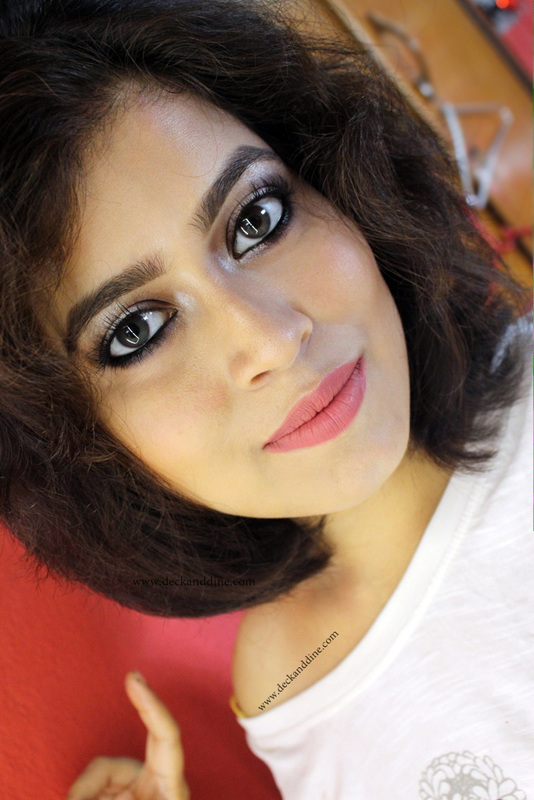 Today I am back here with another DIY tutorial of a requested look. 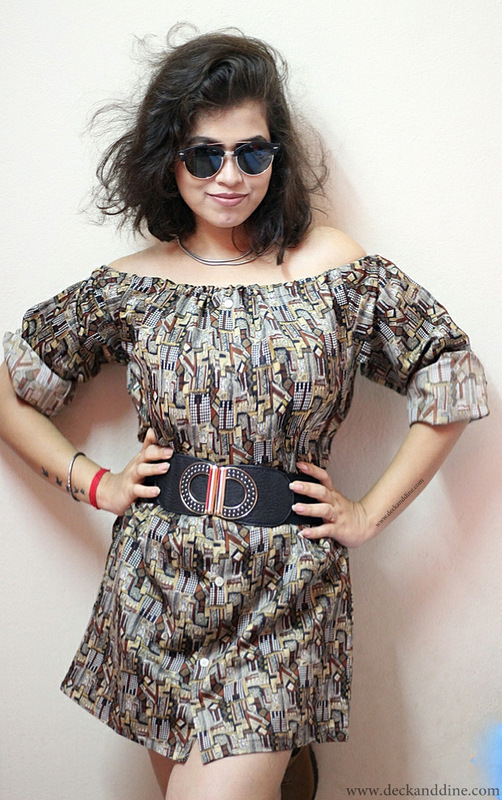 I guess you remember my DIY Dungaree Dress tutorial which I made from a men’s shirt, if you don’t remember ( :@ ), you can go through the tutorial HERE. After that post I got many requests from friends and readers to do similar DIY tutorials. 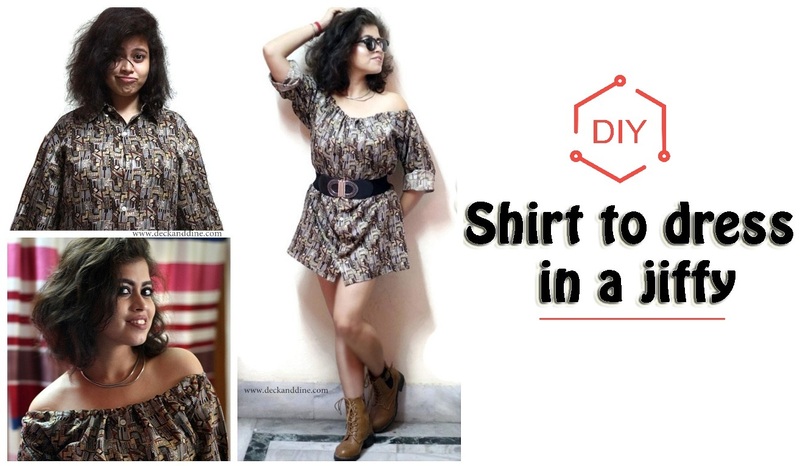 So here I am today, with another super easy DIY on how to make an off shoulder shirt dress from a men’s shirt. Shirt dresses are totally in fashion these days. Whether you want to go casual or spice up your look for a glam night, shirt dresses are perfect. Thread and needle/ Sewing Machine. 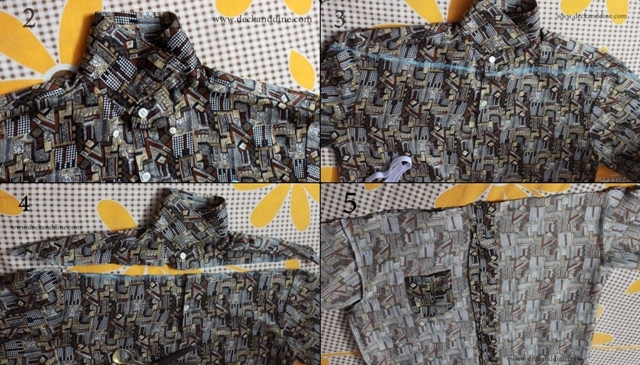 Lay your shirt absolutely flat on a surface. Collar up your shirt and make sure it is buttoned up. Now grab a ruler, place it horizontally just underneath the collar band and using the fabric chalk draw a line, extending all the way to the sleeves. Now take your scissors and cut through the line. Now with your shirt turned wrong side out, we are going to make a small pleat on each sleeve. Sew vertically about one inch on each ends of the cut, i.e. on the end points of the cut that are on the sleeves. (Refer picture). Time to make the casing for the elastic. 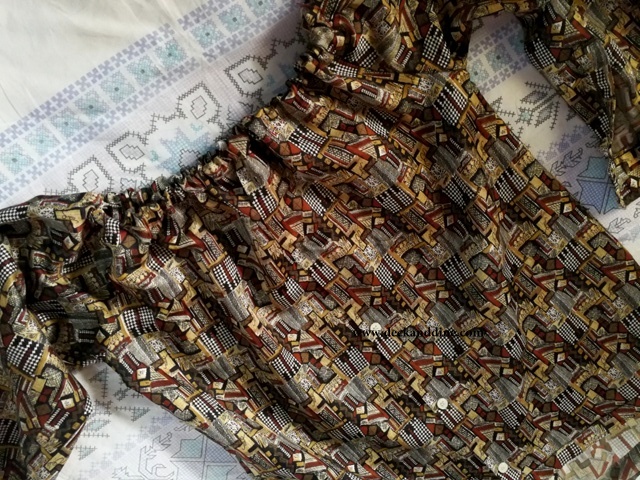 Fold about an inch off the shoulder portion (you may need to remove the button there, you can sew it back anytime) and sew it all the way to the other end. Grab your elastic and safety pin. Attach the elastic to the safety pin and put it through one opening. Start taking it all the way through until you get to the other side. You have to pay attention so that you don’t accidentally pull the other end of the elastic inside the casing. To avoid that, when the other end comes closer, sew/pin it up so that you don’t lose the end. (See picture). When you are done encasing the elastic, stitch that end too. 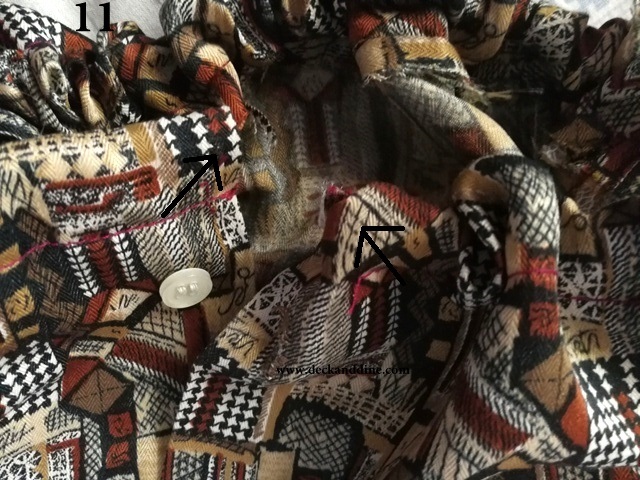 Finally, stitch the ends of the button-line together. Accessorize your look with chunky jewelry and broad belts. You nailed it Girl!!! Owned this and how!!! From the boots to the hair to the dress to the belt to your posture and that killer attitude with that smile. OMG!!! I'm just spellbound! Lost of words. You slay it girl.